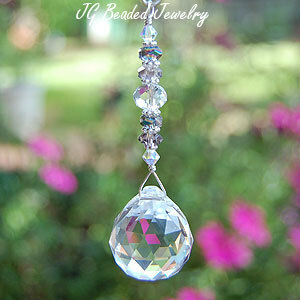 Perfect for the rearview mirror! 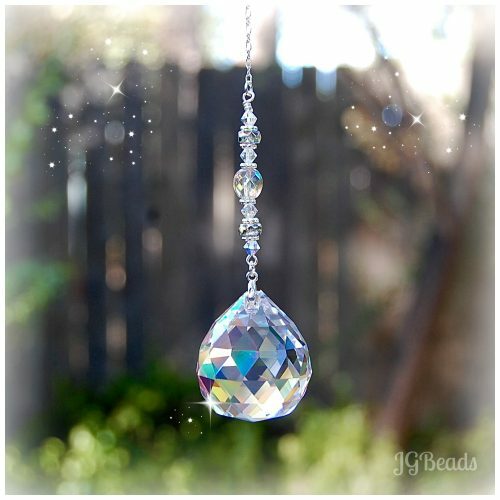 This hanging prism crystal decoration is perfect for the rearview mirror but also for a window at home, the office, sun porch or wherever you choose! 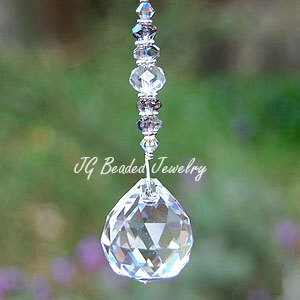 The 20mm clear prism is embellished with two sizes of gorgeous iridescent Swarovski crystals and fancy silver beads. Made with attention to detail! 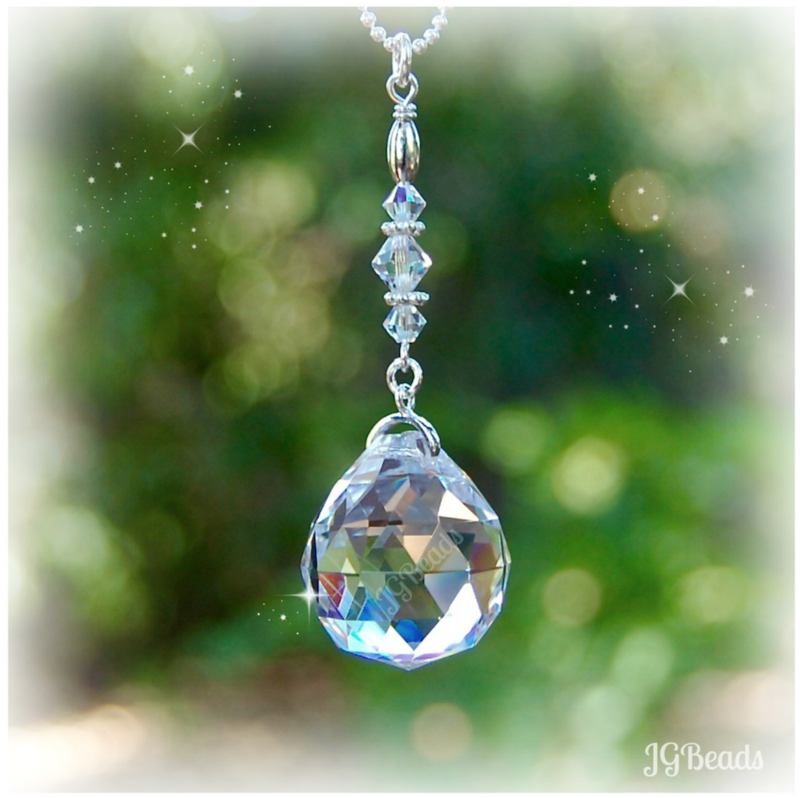 ♥ Available with an AB Clear prism here! ♥ If you would like more than the quantity available or perhaps in a different color, please contact me and I will respond as soon as possible. ♥ Custom orders are welcomed! Please feel free to contact me with your request. 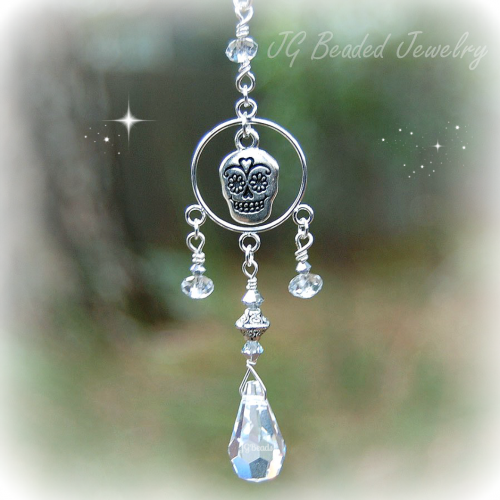 ♥ Enter the GIVEAWAY for a chance to win suncatchers, jewelry and unique gifts!